This throw was hand-woven in looms following ancient techniques by master weavers living in the highlands of La Puna, Argentina. It is a unique textile and it takes around 1 month to make it. It was handmade using pure hand-spun llama wool. The whole process, since the animal is sheared, takes place within the same family or community. By choosing AWANAY textiles you are supporting the work of talented rural artisans living in inaccesible areas in northern Argentina. Argentine llama wool is exceptionally soft. Llamas are camelids of the same family as vicuñas and alpacas. Raised freely they only exist in South America. In our throws we want to highlight their silky softness and their gorgeous natural colors. 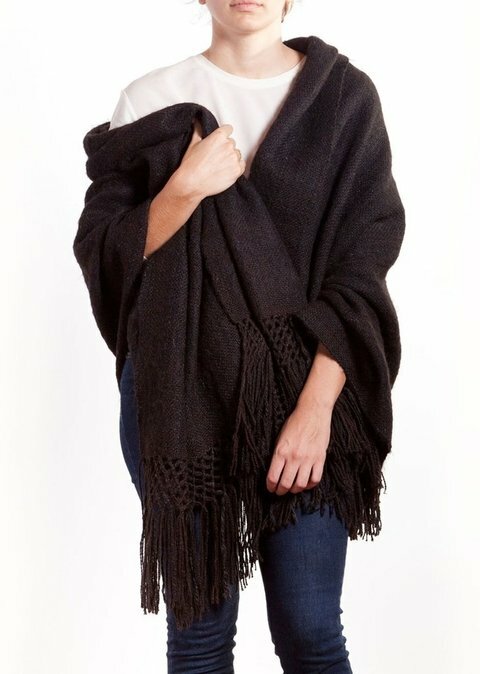 The wool is sourced from small llama farms high in the Andes in La Puna region, the same area where they are later woven into beautiful throws. The wool is always hand-processed: its sheared, washed and spun only by hand. Thanks to this handmade process our wool keeps all it’s natural properties and beauty. Hand wash with cold water and hang to dry. For more information please visit our Care and Maintenance section. Delivery time depends on destination. in Argentina is 3 to 7 business days and up to 10 days for international locations.